Our model was stitched on 28ct. Wedgewood Blue Lugana over 2 threads using #5 Perle Cotton and specialty fibers. Design size is 4.4 X 5.2. 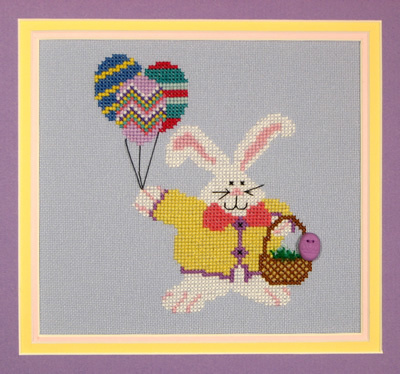 Chart pack includes purple egg button. Extra buttons are available - click for buttons.